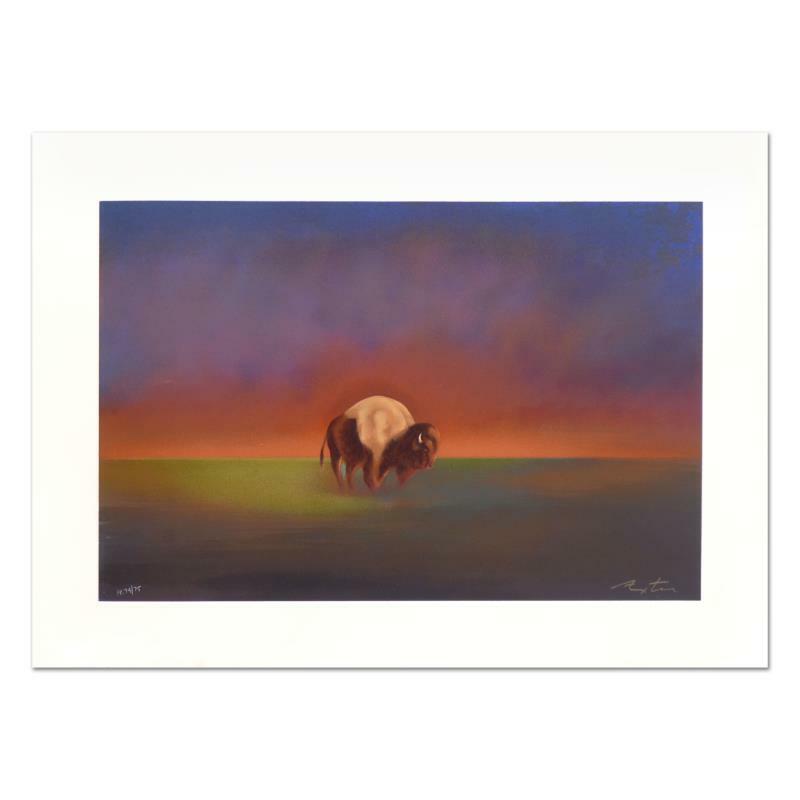 John Axton, "Dakota Elder" Limited Edition Serigraph, Numbered and Hand Signed with Certificate of Authenticity. 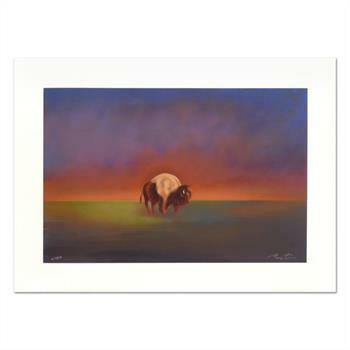 "Dakota Elder" is a limited edition serigraph on paper by John Axton, numbered and hand signed by the artist. Includes Certificate of Authenticity. Measures approx. 32" x 23" (border), 25.5" x 18" (image). 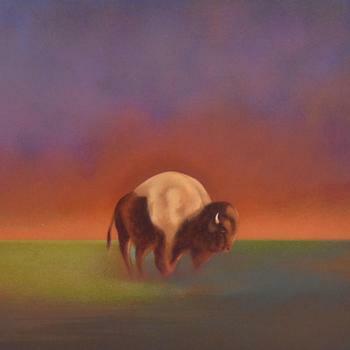 John Axton’s simple, dramatic, often haunting imagery has created a large following. His minimal horizons, even a single marble - draw the viewer into the canvas to peacefully contemplate the fusion of reality and imagination. John was awarded the “Outstanding Alumni Achievement Award” by his alma mater, Southern Illinois University in 1988 when they established a summer arts program in his name. His inclusion in “Covering the West”, the prestigious traveling exhibition curated by the editors of Southwest Art Magazine in 1996, introduced John's art to visitors of the Albuquerque Museum, Albuquerque, NM, the Tucson Museum of Art, Tucson, AZ, the National Cowboy Hall of Fame, Oklahoma City, OK , the Autry Museum of Western Heritage, Los Angeles, CA and the Colorado Springs Fine Arts Center, Colorado Springs, CO.